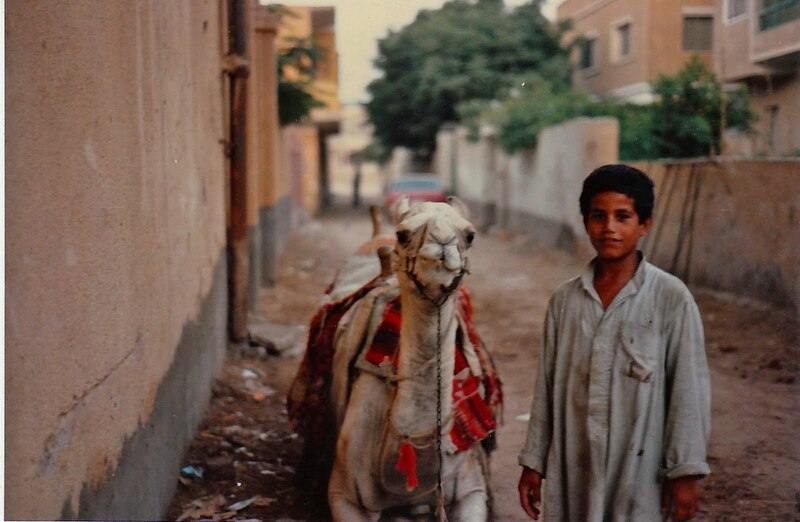 Preface: As I prepare to head to Egypt next month, I thought it would be an opportune time to reflect back upon my first trip to Egypt, over 25 years ago, and to share some of my early days of travel, writing and photography. 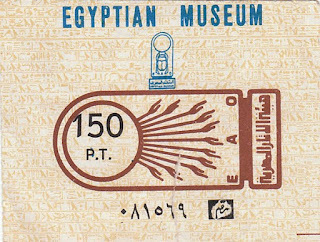 While many things have changed, and continue to do so on a daily basis - particularly in Egypt right now - much of what I read from the pages of my journal is a classic and universal “first time off the beaten path” perception of a 21-year-old backpacking penny-stretching college kid determined to see the world. While other college kids were backpacking through Europe, that simply wasn't exotic enough for me and my friend Marie. 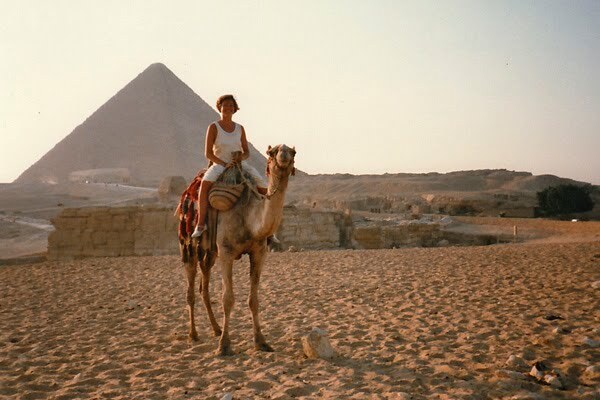 So when we'd had enough of sunning on the gorgeous beaches of Ios in the Greek Isles, we decided to get on a plane to Cairo and check out the Pyramids…in hottest July (what were we thinking?). With no return tickets and no set plans and no idea where we would stay, off we went with a “Let’s Go” guidebook, tiny backpacks slung on our backs with cheap straw beach mats we’d picked up in Greece, flip flops on feet, and cameras in hand. And journals, of course. Remember, this was long before iphones, digital cameras, laptops and other tools of the modern-day blogging nomads. There were no ipod buds in my ears, rather, I wore the clunky headband of a Sony Walkman and carried a few cassette tapes in the backpack to remind me of home. 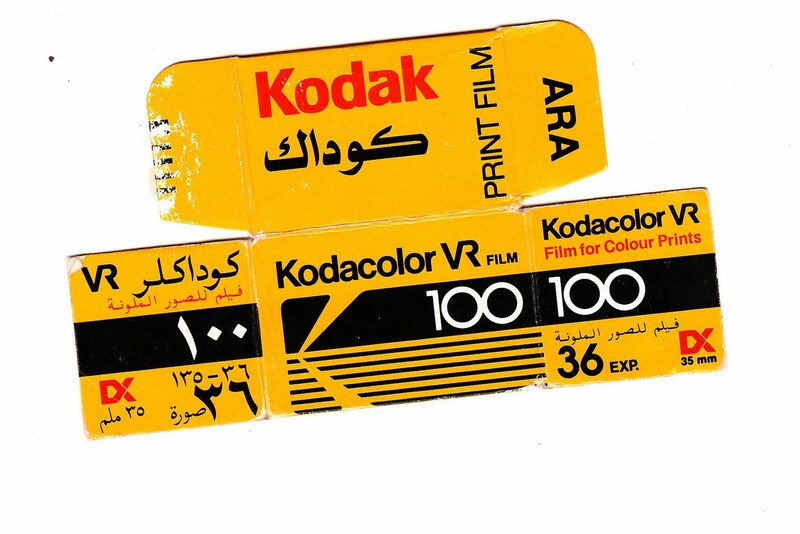 I took pictures with this stuff called "film", and composed on something known as a "notepaper" with an instrument called a "pen." It is the pages of my handwritten journal that I have transcribed to share here. The year is 1986. The U.S. had just retaliated against a Berlin discotheque bombing by conducting airstrikes over Tripoli in neighboring Lybia, and U.S. relations with Qadaffi and the Middle East were tense all over (sound familiar?). But at 21, we were convinced that our mere presence would constitute an international peace-keeping mission, and off we went. EGYPT??!! Oh my God (Allah?) I’m in (expletive) Egypt! Hello Third World. Hello Pyramids. 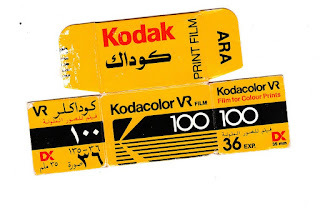 Hello Arabs. Hello poverty. Hello camels. It’s all here! This is the place! The real deal! Our flight from Athens was something else, if that didn’t frighten us, nothing will! 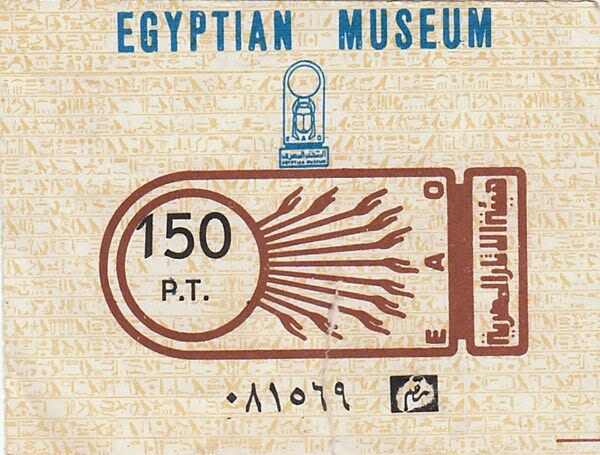 The people crammed on to the Egypt Air plane as if it were a Stones concert or something – there was no specific seating, no non-smoking section, just take what you can get. The landing was more like being flung down a bowling alley, but we made it. 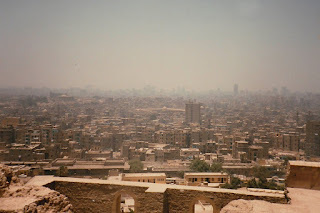 We headed to a good, reasonable hotel in Heliopolis where we met some travel buddies – two guys from Denmark, who invited us to share the cost of their Cairo taxi tour the next day. Cool. Our first adventure in Cairo is the TRAFFIC. No lights, no signs, no lines, and apparently no laws! Just lots of horns. That’s how it’s done in Cairo, you just beep your way through the streets and intersections, and our taxi driver played his horn in the orchestra of Cairo like a skilled musician. When we first began driving I kept thinking to myself “this must just be the bad part of town” and waited for the nicer parts of town to appear. As the day went on I realized this IS Cairo. This IS the way they live. It’s ALL like this. Half-finished housing, broken windows, dirty dirty streets, and poverty everywhere – there IS no nice part of town! The most fascinating observation about the people is that wherever they are at the time of prayer, they stop everything, throw down their rugs, and pray. In the streets, in the train stations, in the markets and the cafes. You can hear the call to prayers over loudspeakers throughout the entire city. Five times a day. Every day. We went first to see the Muhammed Ali Mosque – we had to remove our shoes and cover our shoulders and legs. In every part of the mosque there was always someone to tell you about the room then ask for your money. We so wanted to learn everything we could, but we’d never have lasted beyond the first day if we kept this up! So we learned instead to be politely rude and to refrain from smiles and eye contact or appearing even remotely interested because then you get hooked in to listen and it costs ya! 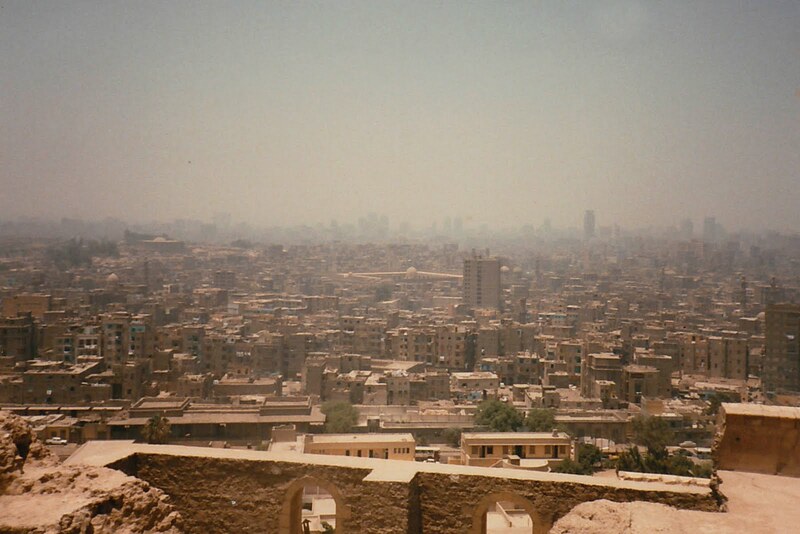 From the citadel there was quite a view – but as far as the eye could see was nothing but pollution, crowded streets, traffic, dirty buildings, dotted with colorful garments of clothing hanging outside windows to dry. Miles and miles, endlessly, this is Cairo. This is how it really is. then off to a restaurant to eat…. Real authentic Egyptian food! This place was cool and interesting. The floor was laid with large rocks lined with smaller pebbles (I was barefoot so I noticed these things). The roof was thatched up with some sort of palm fronds, and the walls of opaque glass were painted with scenes of Egyptian customs. Ah, the menu! Finally, a real authentic meal of pita bread and those other foods I usually make from a box mix at home. First came the light salad and dips – tahini sauce, and a hummus flavored with mint leaves. I ordered falafel and rolled vine leaves and Marie had foul with sesame. All of it was sooo good! After lunch we beeped our way through the city to the Pyramids. You could see them right there beyond the dirty city buildings, as if they were in the center of a downtown street. But as we got closer, we saw that they stood on the city outskirts and on the edge of the desert. THE DESERT! The Lybian Desert, which forms the edge of the Sahara Desert stretching across all of northern Africa! Wow. Just think, this sand I step on is the same body of sand that Qadaffi hangs out in. I’m cool with that. There was no way we were going to visit the Pyramids without riding a camel. So we found ourselves 4 camels and a little boy to guide (?) our caravan. I got along really well with my camel, which I named “Filter”. We wandered up to the Pyramids, past the Sphinx (or “swings” as our Danish buddies pronounced it), and took pictures on our camels, with our camels, off our camels. I really enjoyed it – my camel was pleasant (as far as camels go) and comfortable. However, the exciting part was taking off and landing. Yes, I’m referring to the camel! Like any mammal, a camel has four legs. But the camel can only bend two at a time to sit down, and the front ones go first! This is when you realize that the camel is a really tall animal with really LONG legs! Try to stay on a camel when he is kneeling without sliding down his neck. Fun stuff. So we watched the sunset from the Pyramids and then went to a shop and paid a ridiculous fee to see the “Sound and Light Show” at the Pyramids, what a rip off! But there we sat like tourists listening to the voice of the English-speaking Sphinx and getting eaten alive by mosquitos. I hope you’ve enjoyed this enough to return for Part II, when we ride horseback through the desert to Sakkara, visit a train station and splurge on a First Class overnight train cabin to Aswan! 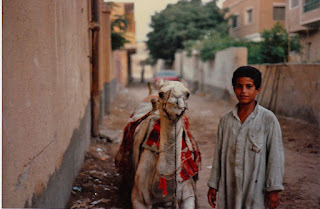 In Part III, I chronicle our felucca cruise on the Nile and visits to Edfu, Luxor, and Karnak. 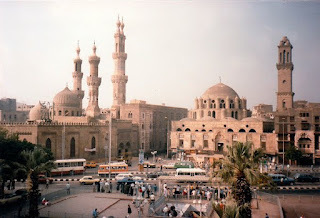 And hey, if you happen to have a blog of your first trip to Egypt, are a 20-something modern day backpacker, or are currently blogging from Egypt, I welcome you to share your link in the comments!